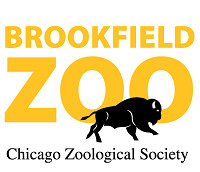 Welcome to Chicago's Brookfield Zoo. They have a really nice carousel at this zoo. This really is a beautiful zoo. Coral Reef Exhibit with Clown Fish and Blue Tang. and well just turtles in general. Fine, these are Galapagos Tortoises and not necessarily turtles. This is a great zoo. Next time you're in Chicago, schedule some time for a visit.